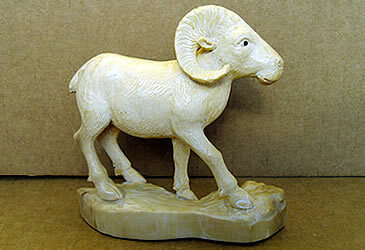 We carry a wide variety of 3 dimensional and relief carvings ranging from one inch to full antler size. 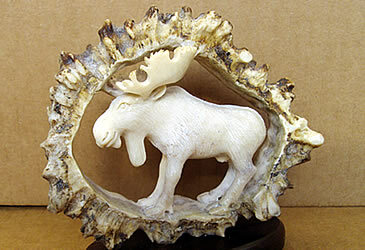 Moose shed their antlers and grow new ones every year. 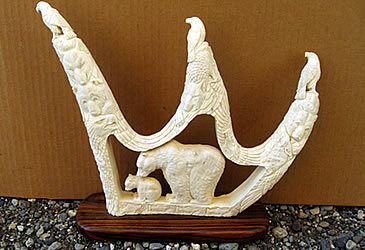 Mammoth ivory sourced from private lands is legal to buy and sell in all forms under Federal law because they are an extinct species and are not classified as wildlife. 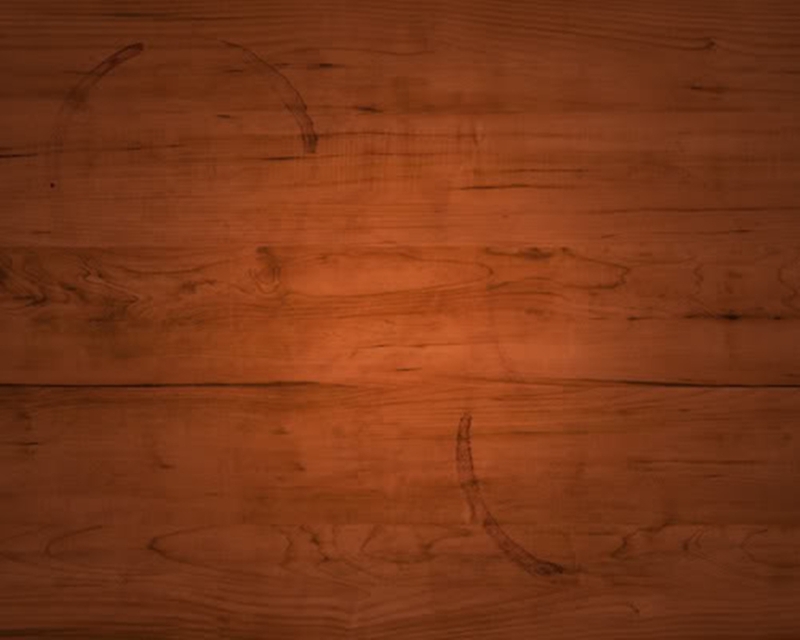 The variation in color caused by thousands of years of exposure to the elements give it a unique and beautiful range of colors from light cream to dark brown. 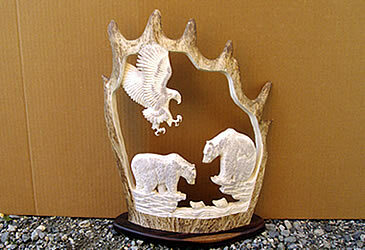 All carvings are one of a kind. 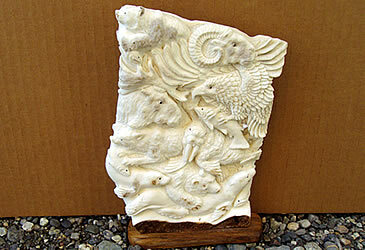 The photos in the catalog are samples of some of the types of carvings we have. CONTACT US FOR AVAILABILITY & PRICES. 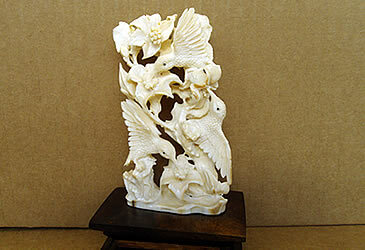 Due to recent state laws we can not ship mammoth ivory to addresses in CA NY NJ or HI. All of our products are handmade by highly-skilled artists in Bali, Indonesia. They are not made by Native Americans or members of a state or federally-recognized Indian tribe.